Dental Implants vs. Crown and Bridge: Which Restorative Option is Right for You? For patients with missing teeth, modern technology and the wide world of restorative dentistry offer many options. 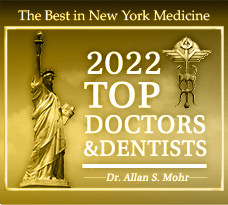 At Smile Creations in Massapequa Park, NY, Dr. Allan Mohr and his team help patients of various ages and backgrounds rebuild their damaged, incomplete smiles with lifelike, quality restorations, including dental implants and bridges. A common question from patients considering tooth replacement options involves the choice between dental implants and a bridge: which one is best? Should I Choose a Bridge or Dental Implants? A fixed bridge is a dental prosthesis that is designed to replace between one and three missing teeth, spanning the gap between two natural teeth that are structurally sound. Two custom-made porcelain crowns are affixed to the anchoring teeth on either side of the gap, and the prosthetic teeth in between effectively replace those that have been lost. A dental implant replaces the entirety of a missing tooth, including the root within the bone of the jaw. It consists of a strategically placed post that fuses with the jaw over time, serving as a sturdy anchor for a custom restoration. Dental implants look, feel, and function exactly like your natural teeth, all while providing essential stimulation within the jaw bone; this prevents further deterioration and reduces the risk of additional tooth loss in the future. A dental implant is the one restorative option that precisely mirrors the functionality of a natural tooth, allowing patients to eat, speak, and smile freely without limitations. So which is better? Because each patient is unique, there is no straightforward, one-size-fits-all answer to this question. 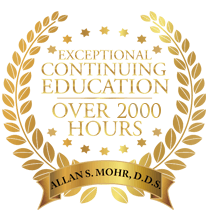 A consultation with Dr. Mohr will help determine which restorative dentistry solution best suits your individual needs, giving you the opportunity to explore your options and get answers to any questions you may have. Our team looks forward to helping you with your decision and providing you with the best restorative dental care in the industry. Whether you are missing a single tooth, multiple teeth, or you are in need of full-mouth reconstruction, Dr. Mohr is here to help. 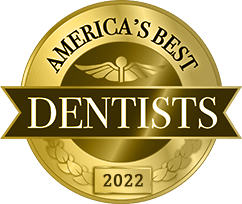 Contact our office today to explore the possibilities afforded by our extensive array of restorative and cosmetic dental solutions; we can’t wait to show you what a difference our commitment to your satisfaction, smile, and overall health can make in your everyday life. 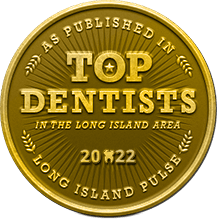 Our practice warmly welcomes patients from throughout Massapequa Park, NY and beyond, including nearby communities in Farmingdale, Seaford, Long Island, Wantagh, Lindenhurst, and more. Call us today to begin your journey toward exceptional oral health and a beautiful smile for life.